This field can be used to request your users to enter an email address. If they enter a value that is not an email address, an error message will be displayed. 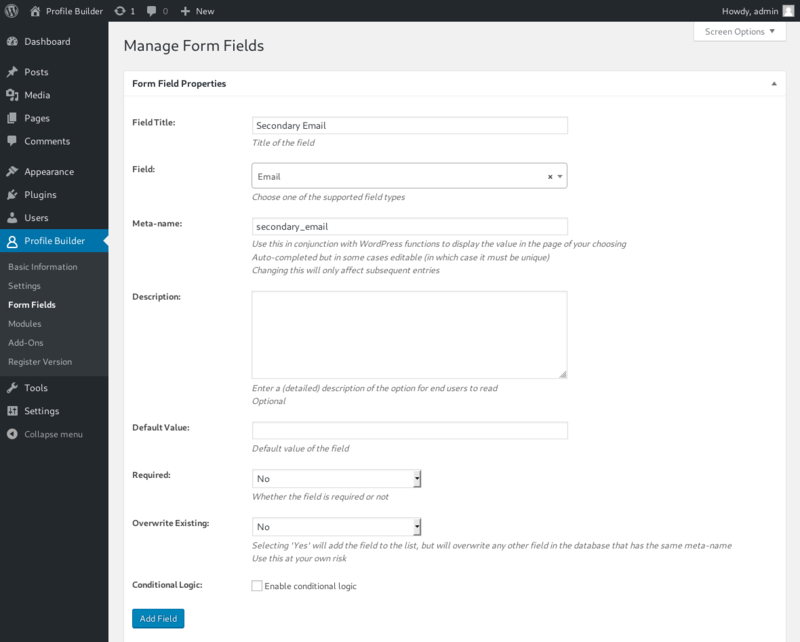 You can specify the field title, meta-name to be stored in the database, description and default value. Also, you can set whether this field should be required or not.